In a pioneering miscellany of 120 prints preserved in the most significant Parisian collections (Edmond de Rothschild collection, Musée du Louvre; Bibliothèque Nationale de France; Fondation Custodia; École Nationale Supérieure des Beaux-Arts), as well as loans from French museums (Musée des Beaux-Arts de Besançon) and institutions abroad (British Museum, Ashmolean Museum, Rijksmuseum), this exhibition retraces one particular technique and aesthetic approach in the realm of printmaking: chiaroscuro printmaking, also known as color woodcuts. It offers a chronological and geographic panorama of this medium via the most notable prints by or after the leading masters of the Renaissance and European Mannerism, such as Cranach, Raphael, Peter Paul Rubens, Parmigianino, Domenico Beccafumi, and Hans Baldung Grien. Color woodcuts, known as chiaroscuro prints in Italy, first emerged in Germany in 1508–1510, and subsequently spread throughout Europe, where it was practiced with increasing sophistication until around 1650. The outcome of technical and artistic attempts to impart subtle nuances of color in printed form, chiaroscuro printmaking fascinated artists, who used it to explore the art of light and shade, a question dear to Leonardo da Vinci and Giorgio Vasari. The effort to create this distinctive aesthetic placed chiaroscuro prints at the crossroads of other artistic practices, including tinted-paper and wash drawing, sgraffito mural painting, and stone mosaic; it is nevertheless a medium in its own right, using monochrome as another way of representing the world. Beyond this dialogue between chiaroscuro prints and other art forms, the exhibition also addresses the questions of its production and reception. Printmaking was often the fruit of collaboration between the inventor of the composition—frequently a painter and draftsman—and an woodcutter or printer, who handled the color inking techniques, matrix size and superposition, and final rendering. The precious nature of these prints appealed to aficionados, who began collecting them in the 16th century. 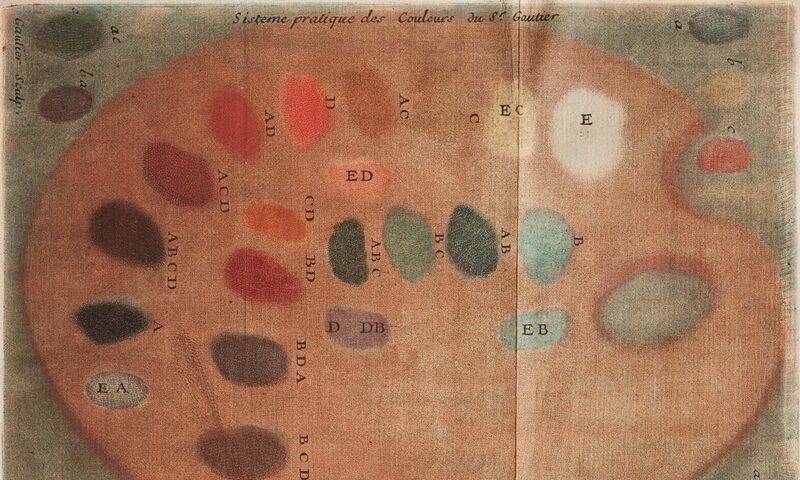 The exhibition is part of a wider research project focused on the analysis of pigments and dyes from some forty chiaroscuro prints, funded by the Fondation des Sciences du Patrimoine, and involving the joint collaboration of the Bibliothèque Nationale de France and the Center for Research and Restoration of the Museums of France (C2RMF). Publication: exhibition catalogue, co-published by Musée du Louvre Éditions / Liénart Éditions. French, 224 pages, 150 illustrations, €29. Presentation of the exhibition (French): Thursday, October 18, 2018 at 12:30 p.m., at the Louvre Auditorium.